As we dive into the 19th academic year at AGS, we look to our theme Open Eyes. Open Minds. Open Hearts. to guide us in all pursuits. Head of School Ayanna Hill-Gill shares more about the theme in the video below of our Opening Assembly for the 2018-19 school year. So, six years later, when remembering my visit in 2008, I always describe it in one word: authentic. AGS is a place where girls are allowed to be who they are as well as become the leaders they are destined to be. The school is centered on what is best for girls, both in and out of the classroom, in a way that provides a vigorous academic experience complemented by a co-curricular experience that keeps the whole student at its core. It is intentionally designed to be small, so that girls are able to connect and be visible and known. Our teachers are national leaders in girls’ education and are committed to creating collaborative and meaningful learning opportunities. Not only does our all-girls’ environment allow each student to maximize the way she learns best, it also fosters a community where she will stretch intellectually across the variety of subjects we offer, allowing her to find her authentic voice. Our website is full of great information, but the best way for you to experience how we execute our mission is to visit the school. And when you do, you will notice that being small allows us to build an inclusive community that celebrates authentic diversity with students and faculty of different backgrounds, religions, cultures, and experiences. While you are here, you will grow to understand that each student demonstrates ownership over her learning, which is evident when she leads her individual parent and teacher conferences and articulates her goals, strengths, and challenges. If you happen to visit on a Wednesday, you will experience our students leading the weekly assembly that often includes senior speeches that reflect growth, discovery, and meaning. I personally welcome you to visit AGS and experience for yourself the only all-girls’ nonsectarian independent school in Atlanta that has made a lasting impression on me for years! Come and experience the best place for girls! During your tour, you will meet our students, who will describe their journeys of learning and how AGS allows them to discover and pursue their passions. Throughout your visit, you can hear directly from teachers who are national leaders in girls’ education about their commitment to creating collaborative and meaningful learning opportunities. Yanni holds a bachelor’s degree in Biology and Chemistry from Dickinson College and a master’s degree from Columbia University Teacher’s College with an emphasis on Private School Leadership. She has been a yearlong Klingenstein Fellow and an EE Ford Fellow for NAIS’ Aspiring Heads Program. Prior to her tenure at Purnell, Yanni worked at the Brooklyn Botanic Garden building their community outreach program and developing curriculum for children’s educational programs. In 1992, Yanni lived in Costa Rica while studying sustainable development and conducting independent research in water quality. It was these two experiences that led Yanni to teaching, particularly science. Yanni currently serves on the Board of the Heads Network and the National Coalition of Girls’ Schools. She serves locally as a member of the Advisory Board of the Global Village Project, an all-girls’ school for refugees in Decatur, GA. Yanni is a member of the Leadership Atlanta Class of 2017 and a Trustee on Emory University’s Board of Visitors. 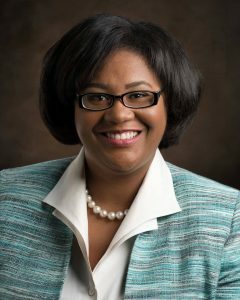 She currently serves as the President of the Atlanta Area Association of Independent Schools (AAAIS). As a graduate of an all-girls’ school in Philadelphia, Yanni has committed her career to creating opportunities for girls and young women to discover their voices, achieve success, and become leaders in the fields of their choice.